The performance of Bitcoin (BTC) over 2018 hasn’t been pretty — that goes without saying. Yet, taking a step back, many optimists would argue that it is more than apparent that crypto assets are doing just fine. Case in point, the asset ran from sub-$0.01 to an all-time high of $20,000 in a decades’ time, outperforming any other investment opportunity that has existed, ever. And while prospects look dismal for Bitcoin’s remaining holders, believed to be few and far between, some claim that copious upside might just be inbound. A common criticism thrown at BTC believers is that “it’s risky.” According to the data seen through the eyes of crypto researcher PlanB, from a long-term perspective, the cryptocurrency is far from. In a recent Twitter thread that garnered the attention of Anthony Pompliano, PlanB explained that a 1% BTC and 99% cash portfolio beat the performance of the S&P 500 over the last ten years. Although the difference between the two portfolios was marginal, with mere percentage points separating their performance, PlanB claimed that Bitcoin simply has a better risk-to-return profile than U.S. equities. In response to this remark, one of the commentator’s followers, who goes by the “Wall St. Dropout” moniker, noted that even a portfolio with a 1% allocation into Bitcoin that is rebalanced yearly makes sense. And with this in mind, the investor added that it makes sense for institutions, whether it be hedge funds, venture groups, and other Wall Street mainstays, to make a foray. To back his point, he drew attention to data gathered by Hedge Fund Research and Bloomberg, compiled by the Financial Times, which indicates that funds’ annual returns have waned. From 1989 to 1999, as the Dotcom bubble was ramping up, the average hedge fund posted 18.3% per annum. The next decade, 6.4% a year. And even over the past decade, as stocks have begun to trade at their “most obscene valuations in U.S. history,” performance posted by Wall Street hotshots isn’t all too pretty. 3.4% — that the type of average yearly returns we’re talking about. PlanB, issuing a statement in response to the harrowing Financial Times chart, added that he can “100% confirm” that institutional money is looking at this data, specifically in a bid to improve returns through diversification. Why Does A Crypto Allocation Make Sense? This may leave some wondering, why would Wall Street siphon money into Bitcoin? The returns, that’s why. As explained earlier, a mere 1% allocation into the cryptocurrency, coupled with 99% of depreciating fiat, has ousted the entire S&P 500 over the past decade. Holding Bitcoin can’t hurt… right? There’s a chance that Bitcoin could continue to trade within a relatively tight range, with little volatility no less — thus defeating the diversification theory. Yet, most believe that it is only a matter of time before BTC heads to the moon, as crypto’s diehards and content creators like to say. Over the past few months, an array of industry pundits have done their best to rationalize where cryptocurrencies could head in the coming years. One optimistic analyst, Filb Filb, noted that per his compilation of the Internet’s historical growth cycles, Bitcoin’s adoption curve, among other fundamentals factors, $333,000 for each Bitcoin could make sense eventually. He even explained that the asset could swell well beyond the one million dollar range. Even if BTC follows conservative estimates, portfolios with the asset in-hand would likely outperform their so-called “nocoiner” (don’t hold cryptocurrency) counterparts. Per previous reports from NewsBTC, a survey conducted by crypto investment group Bitwise Asset Management indicates that investment/wealth advisors are bullish on BTC. 55% of the 150 advisors surveyed believed that BTC would appreciate in value in the next five years, with predictions averaging out to $17,570. The now-tamed Tom Lee, the head of research at Fundstrat Global Advisors, recently remarked that $25,000 is a “fair value” for the leading cryptocurrency, citing the thirst for an uncorrelated digital asset that isn’t only used for speculative purposes, but as a newfangled form of money and store of value too. 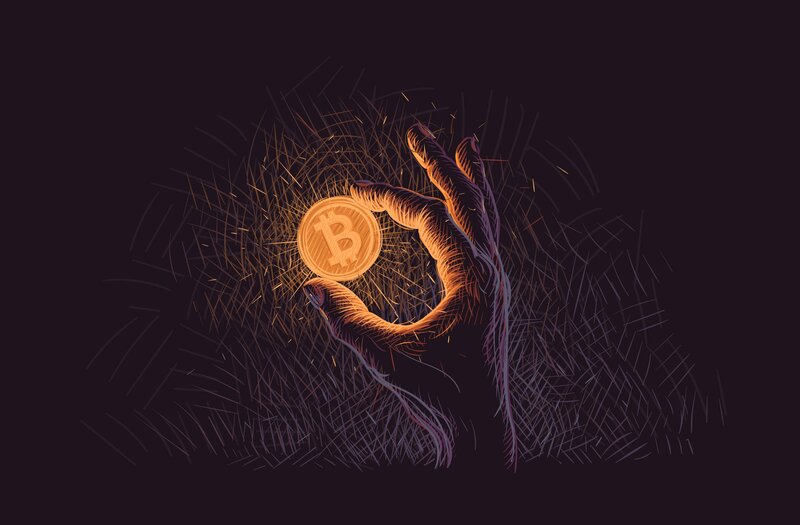 The post Bitcoin Hasn’t Performed Well in 2018 But Analysts Say It’s Just Fine to Hold BTC appeared first on NewsBTC.